WebDAV is now available in the district! What's WebDAV you ask? Not only is it a great way to access files from the server on an iPad, but it's the new way for you to be able to access your district servers from home! Setting up the iPads is a little different for elementary and secondary classrooms so choose the appropriate handout below. All staff members (whether or not you have access to iPads) can follow the instructions on the last page of the handout to access your district server files from your home computer! Safari Montage has been activated for student use! Middle and high school students will log in with their network login. Elementary students will log in with the campus student network login. Use the PERMANENT LINKS button to create a link to your playlist or individual video that can be shared with students via your web site or QR code, etc. Be sure to tell your students how to log in to Safari Montage as you may be the first teacher using it with students. If you uploaded the video to Safari Montage, you must SHARE it before any other users can access it. Students can't upload videos to Safari Montage. Students only have access to the GCISD channel and their campus channel, not all the cable channels teachers can access. Not sure what to do if your keyboard stops working? What if your mouse freezes? What should you check if you cannot hear any sound from your computer? Not sure where you saved a much needed file? Go ahead and print the list out! Maybe even hang it up near your student computers. 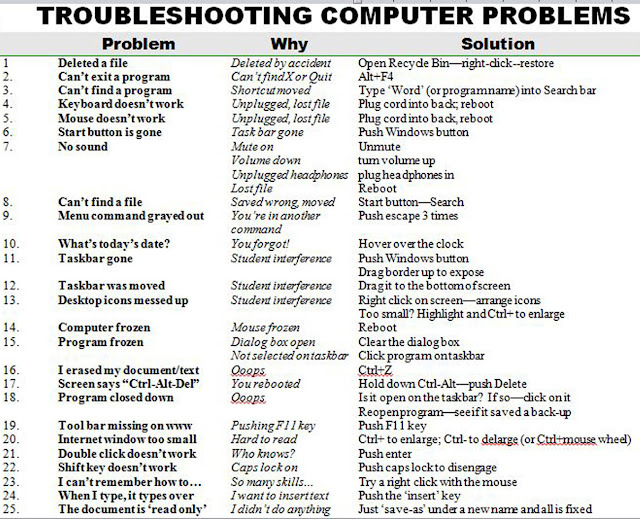 Before long, you'll no longer be a novice at basic troubleshooting your PC! Wireless SpeedWe are very fortunate in GCISD to have the ability to take an electronic device like an iPad or a laptop, go to any GCISD campus, the Administration building or the Professional Development Center and connect seamlessly to our wireless network. There are however, times when you may find yourself waiting for an extended period of time to download an app or a file. If so, no matter where you are (at home or school), you can check the wireless speed. New to the Mac environment? No problem! 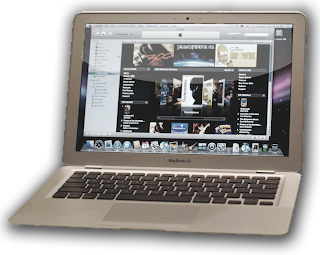 Refer to the list below for some helpful hints on transitioning to the mac world! How do I take a screenshot? Hold down the Command and Shift keys and press 4, The cursor becomes a crosshairs. Click and drag the crosshairs to select the portion of the display you’d like to capture. The screenshot file can be found on the desktop. Help - My scroll bars are missing! Why isn't my desktop showing on my projected screen?